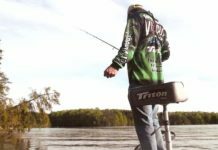 With the new year, comes new beginnings, new sponsors for the anglers, new baits for companies, the anticipation of a new year of tournaments, and fishing shows. 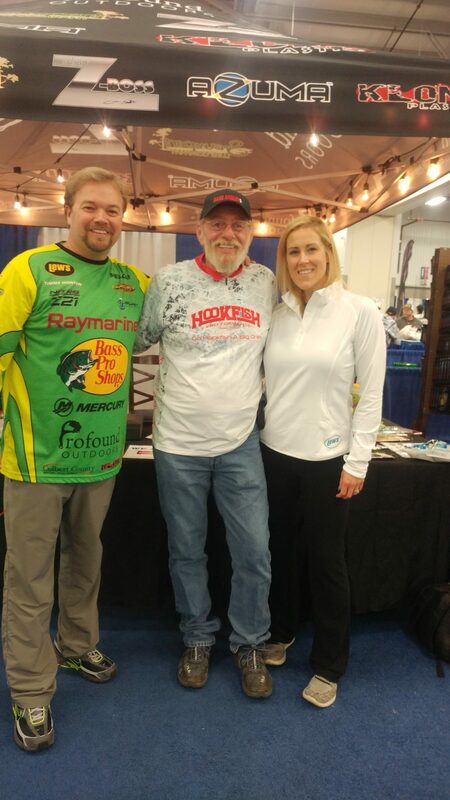 Here in Virginia, it is the Richmond Fishing Expo that starts off our new year. And every year we look to see what will be new, what friends will be there, and what pros will be there.This year was no different. 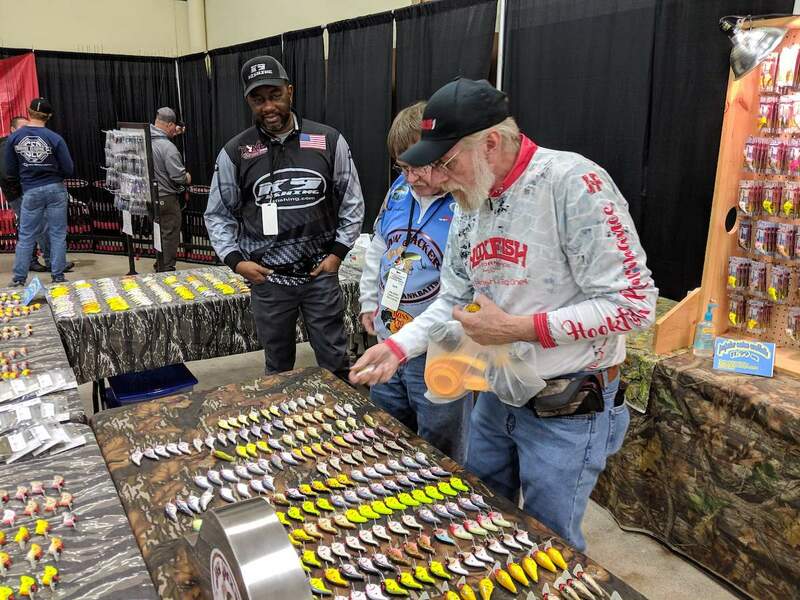 As I pulled into the parking lot of the Meadow Event Park in Doswell, Virginia on January 18, 2019, the sight of anglers lined up to enter the first day of the Richmond Fishing Expo greeted me with high hopes of another exciting year. For me, walking into the doors I am greeted by the wonderful workers there. Every year I get to catch up with the ladies and see how they have been. It starts off my experience and sets my day. And checking in with Les is always a pleasure, but sometimes it has to wait as he is always busy. This year I started off with a live feed on Facebook, giving everyone a view of what is there, or at least a tease of what awaits. And then the doors open and for some, its a controlled rush to get to a certain booth to get that prized lure before they are sold out. For others, its just walking and taking it all in. While some things were the same, we still had some new players this year. 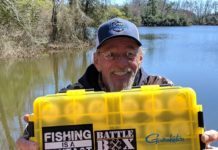 Reelsnot, Green Top, Dave’s Tournament Tackle, Double D Jigs, Patterson Custom Baits, Ardent and more were there as always and are always busy spots. And we can’t have an Expo without boats, and this year we had some beautiful ones on hand and for sale. This year we also had some new vendors too; ProFound Outdoors and Line Cutterz were 2 of them. But we had no Missile Baits and John Crews booth, which is one of my favorite to visit. The big tour professionals are always a crowd pleaser, and this year did not disappoint. 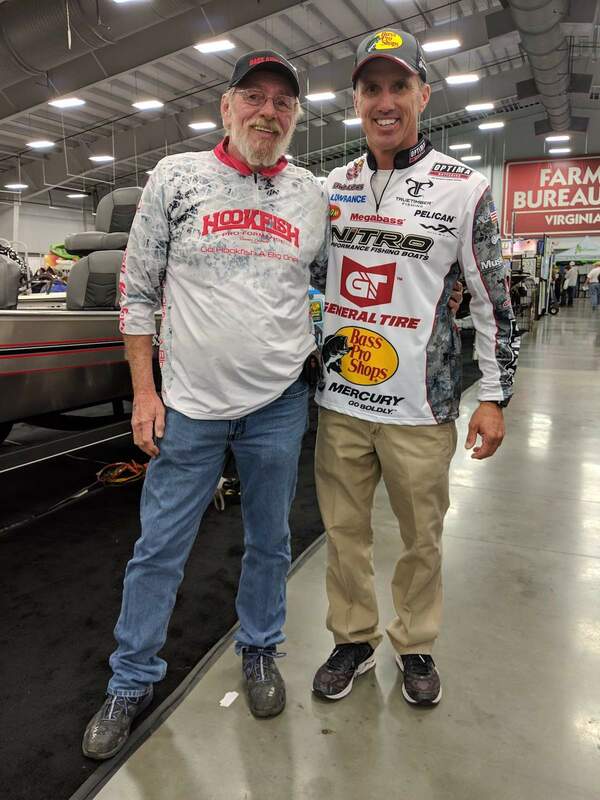 For day one we had Mr. Edwin Evers and Mr. Timmy Horton, both having made the switch to the new MLF Bass Pro Tour and Saturday we had Mr. John Crews and Mr. Timmy Horton. Sunday is the final day and only Timmy could make the last day, which in itself was great, but a little disappointing. 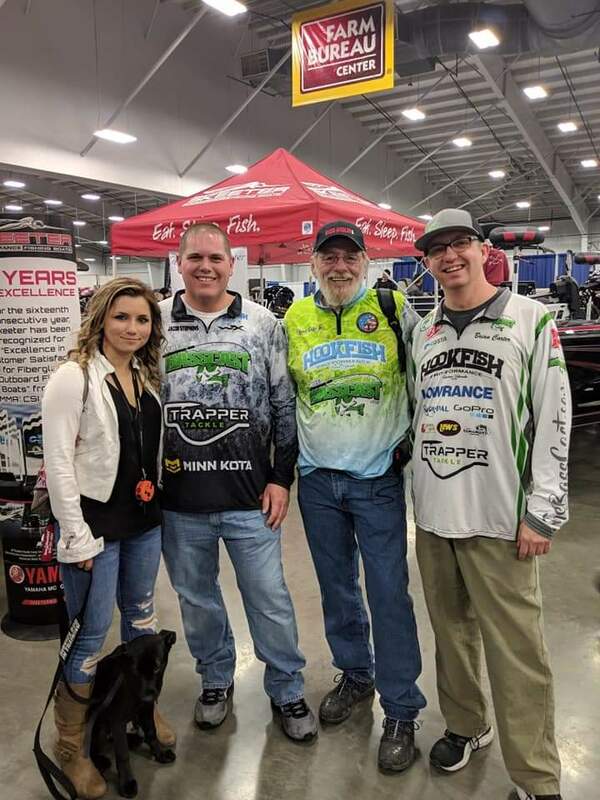 Whether it is up on the tank or down on the floor, they always educate and relate to the crowd, giving fans and anglers the opportunity to learn, take pictures, get autographs, and more. I spent 3 days there, which gave me time to really talk to everyone and see everything, well, a lot of it. I still could not take in all the seminars, as some happened at the same time. And I ran into so many amazing friends there, and made many new ones. I ran into friends from across the state and even my next door neighbor. I talked with everyone, something I seem to have gotten better at and I learned a lot. That is what truly makes the show the best every year. But I did miss seeing some of my friends that Richmond is always a place we seem to catch up at. Every year, there are going to be some who will be disappointed. We don’t have this big company here, or this company, or why did this one come. That is natural. I myself would love to see the bigger companies here, but just because they aren’t here doesn’t mean they are at the other shows and just not coming here. 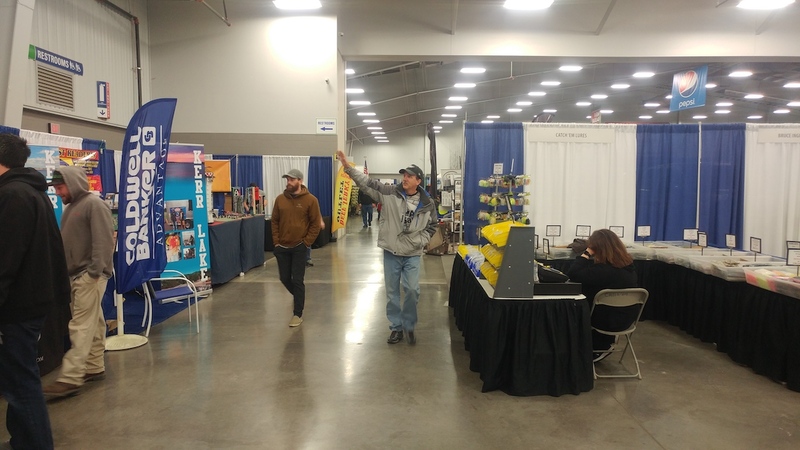 I had the pleasure of attending the East Tennessee Fishing Expo the following weekend and I can tell you that in my opinion, it was an awesome show, but not necessarily better than Richmond. Some of the vendors who have skipped Richmond are there, the ones that sold a bunch of discounted lures and equipment, and they had the same basic stuff as we do. Like Richmond, there are plenty of custom lure painters and small plastic dealers. They had a ton of boats for sale. And they had pro anglers for the fans. Unfortunately, a lot were MLF anglers and had to leave early so they could get to Florida for their tournament. But I am sure they weren’t the only show this year that had the same issue. There were no Strike King, SPRO, Lews, Quantum, or other big brand name booths there. I’m not even sure if the days when the Expos were the main way they got their name out to the public will ever come back. But we are blessed to have such amazing small companies, most of them being local to our area, at our shows. Like Richmond, Tennessee has their Green Top and Dave’s Tournament Tackle booths. Holly at C&C Outdoors is a prime example of one of the local brick and mortar tackle shops in Tennessee. I’ll be back if possible for sure. We always want more at the big Expo for our area. 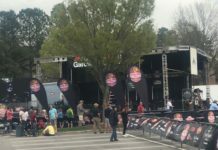 When it comes to comparing Richmond to Tennessee, it becomes clear that each show is in itself special. It is like comparing apples to oranges. Both are excellent fruits, but each has it’s own special attributes. And no one person can say that either is better. None of our local Expos will ever be like the Expo at the Bassmaster Classic and none will ever be like it was back in the 1980s. Apples or oranges, just enjoy them and experience all they have to offer.